Clicxy - Affiliate CPA network reviews and details. Clicxy is an international CPA/CPL/CPS network that provides unique offers of Binary/Forex/Casino, and a variety of other popular verticals to build up. At Clixy Media we understand that people demand is always changing, so we’re committed to designing and implementing the strategies and tools you need to get ahead. We’re proud to offer a marketing professional team working with a lot of clients all over the world. Clixy is a bridge to connect you to all our global affiliates without any language and cultural barriers to create the successful marketing campaigns for all. Our dedicated professionals strive to offer a wide range of solutions available if you have any issues. 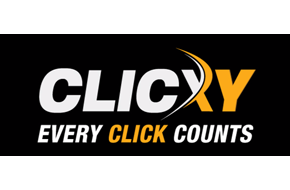 Clixy Media welcomes you to find out how we help you grow and exceed your every expectation. You can check Clicxy reviews and Offers on Affbank and ask Clicxy Team any question by using the contacts above, especially about how to earn money! very confortable to work with Clicxy guys! great dashboard, simple à utiliser; j'viens de travailler avec mais j'aime. En plus les plus bons binary offers. et Ils ont approuvé mon compte très vite! Merci!